Home Business Automobile Import Ban through Land Borders: Threat or Trophy? Automobile Import Ban through Land Borders: Threat or Trophy? On Monday, December 5, the federal government announced the prohibition of importation of vehicles, new and used, through land borders. This was contained in a statement issued by the Nigeria Customs Service (NCS) Public Relations Officer, Mr. Wale Adeniyi. The statement said there was a presidential directive restricting all vehicle imports to Nigerian Sea Ports only and the order would take effect from January 1, 2017. However, major car dealers in both new and used vehicles who did not want their names mentioned for fear of backlash from government knocked the policy saying that it will have devastating impact on ordinary Nigerians and the economy. They said the policy will have the most impact on used cars, the segment of the market where most Nigerians operate. According to the dealers, the decision is not good for the sector and will make it difficult for Nigerians to own cars. “The policy is the product of poor thinking. How can a government crush the biggest segment of a sector? “They are taking these decisions without even consulting the real stakeholders and operators of the sector. Instead they are using consultants and professors from the universities to make decision on a sector they know only a little about. “Also, government is thinking only about revenues and they are mortgaging economic growth,” they said. The dealers also noted that the decision was also taken in the interest of a small segment of the auto industry claim to be auto manufacturers but in fact are not manufacturing any cars in Nigeria. “Only Innoson is doing some level of automobile manufacturing in Nigeria. All the others are at best just fixing lights, bumpers and trunk and they call it manufacturing. “Ask any of these so called auto manufacturers to show you their assembly lines and you will see that they are adding zero value. For one Korean auto dealer if you investigate them, you will see that their vehichle service area is much larger than their so called auto assembly plant. “To have a modest auto assembly plant you need nearly a billion dollars investment, which none of them can afford to make in the country at the moment. On the plan to stop smuggling, he said: “Under our new Comptroller we have evolved an unrelenting round the clock anti smuggling approach. We are doing it successfully on the ban on rice. Automobiles will not be different. Seme is now the most difficult place to smuggle. Perpetrators are seeking alternative routes in other borders and they are not finding it easy. We hope to deploy more officers strategically and we have started with the yuletide approaching. He also stated that the policy will not impact negatively on customs revenue given the experience from the ban on importation of rice through the land borders. Meanwhile, while the federal government’s decision may have gladden the hearts of members of NAMA and ship owners, some importers who have relied on the Benin Republic borders to bring vehicles into the country are not happy. Some importers who spoke to THISDAY want the decision rescinded because of the economic situation in the country at the moment. An importer, Eze Chukwuyem, posited that the policy is coming at the wrong time, “stressing, this is the worst Christmas present one can ever have. After spending money in the festive period what can we do in January when the policy will take effect?” Another importer, Friday Aigbiremolen who sells used cars at Berger urged the federal government to have a rethink because enough vehicles are not being manufactured locally to fill the gap for the imported ones when the policy takes effect. It is not just Nigerian importers and smugglers that will feel the pinch, the federal government policy banning vehicle importation into Nigeria through land borders will further tighten the Benin Republic economy already groaning due to similar ban on rice importation. THISDAY had exclusively reported recently that rice worth over $3 billion destined for the Nigerian markets are stuck in various warehouses in Benin Republic due to federal government refusal to allow its importation through land borders and fierce customs anti smuggling drive. The annual routine of importing rice into the neighbouring country from July to December to make massive sales in Nigeria during yuletide has hit a brick wall this year as Controller General of Customs, Col. Hameed Ali (RTD.) has insisted that his men tighten the frontiers. From January most of the cars landing in the Cotonou Port meant for Nigerian use will also be stuck. THISDAY checks revealed that Seme Customs is set to deploy officers in the vehicle seat unit into full anti smuggling and legitimate trade facilitation functions. There are fears in Cotonou that by January over 7000 unit of cars will be in the popular car markets. Nigeria shares major border frontiers with Benin Republic at Seme Border (Lagos), Idiroko (Ogun), Shaki (Oyo), Chikanda (Kwara) and other smaller openings. 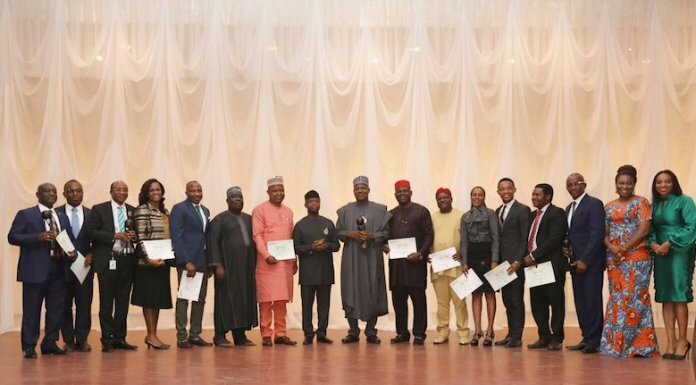 Prominent among them is Seme, where the highest volume of trade and largest smuggling opportunity exists because of its easier access to Lagos, Nigeria’s commercial capital city. A recent visit to Benin reveals that most of the warehouses where the bagged rice were kept before shipment into the country are now battling for space. Some consignments of imported rice into the small West African country that had no space at the usual and popular stores were moved to makeshift storage areas and are exposed to rains, weevils and other unhygienic forms of storage. Popular warehouses no longer receive rice shipments as thousands of bags earlier delivered to them since July could not be evacuated into Nigeria as planned and as the usual case in previous years. 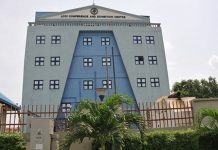 Popular Cherika warehouse in Akpakpa near Cotonou with a capacity to hold 25,000 bags is fully loaded with Thailand rice with no hope of evacuating them into Nigeria except government relaxes its policy disallowing rice imports through border or customs softening their round the clock enforcement in Seme. Defezi warehouse close to the Cotonou Port with is filled with over 40,000 units of 50kg bags of Indian and Thailand rice. Defezi got occupied earlier due to its proximity to the port but was not evacuated as the owners could not risk entering Nigeria with it. Cica warehouse in Missebo area of the Cotonou outskirts that suffered lack of patronage in the past due to distance from Seme border and bad road presently has over 15,000 bags. Some are getting molded, caked with their bags torn and quantity reduced while under storage in several odd arrangements endlessly awaiting shipment into Nigeria. While hope of smuggling them into Nigeria gets dim by the day, there is a conscious efforts at attempting the smuggling of the commodity without using bags. The unwholesome methods requires pouring grains of rice into various compartments of vehicles like the booths, bonnets, inner part of the doors, under the seats and other spaces meant for spare tyres and tools. Sources disclosed that attempts to try bringing in some hundreds of bags failed as the trial smuggling bags ended up inside the customs warehouse in Seme and Idiroko as seizures. Over 37,000 bags of rice have so far been seized in Seme and Idiroko between January and September 2016 with a recent clamp down on 13 vehicles at a go in the Ogun State area all laden with smuggled rice. At the major stores, a downturn of business activities has hit various traders and workers who make brisk businesses from rice coming into Nigeria. From the owners of the rice to the transporters, loaders, landlords and operators of warehouses, there is a general lull as it has been a season of stockpiling without transiting. They expressed frustration not mainly with the government policy but more on what they described as Seme Customs lack of cooperation. The Nigeria Customs Service had in an October 2016 press statement reiterated government’s ban on rice importation through the borders. The statement signed by Adeniyi, reinforced its resolve to protect government’s attempt to improve local rice capacity. Part of it read: ”We like to reiterate the position that importation of Rice remains banned through our Land Borders, and we have the commitment of Partner Government Agencies and Stakeholders to enforce this restriction. While this restriction is in force, Rice imports through the Ports are still allowed subject to payment of extant charges. “It is equally important to restate the confidence of the Nigeria Customs Service in the ability of Nigerian Rice Producers to fill the existing sufficiency gaps in the supply of the product. The Service has noted with satisfaction the ongoing Rice Revolution undertaken by many state governments, and strategic interventions by federal government agencies. THISDAY investigation revealed that there are loud cries in Benin over what is going on at Seme and other borders. A respondent simply identified as Mr. Sewanu said things have taken a turn for the worse as their opportunities tied to bringing rice into Nigeria have been stalled. Sewanu said: “You can see we are idle here because rice is not entering Nigeria through Seme Border. Now they have added vehicles, this means that we can’t work. Each day we come here, it is in prayer that the customs should cooperate with our bosses so we can have jobs to do to survive. “By this time of previous years, thousands of bags of rice enter Nigeria from here and more ships will be discharging at the Cotonou Port on daily basis. But this year is different, nothing is working. Seme Customs people have spoiled the business for us. We don’t want to take the risk of transporting rice through any other border because Lagos is the largest market. Once you enter through Seme, you are already in the market. ‘If this continues, we may die of hunger. Benin customs in Krake cooperate with us but the Customs in Nigeria are our only headache. We want the Controller removed. He is making things difficult, “Sewanu lamented. A visit to the border showed smooth processing of imports into Nigeria. Also, the banks have become a beehive of activities as people rush to pay for customs duties for items not on Nigeria’s import prohibition list. While the stockpiling of imported rice continues to increase in Cotonou and neighbouring towns, there may never be a market for them as they face the risk of either being expired or going bad due to poor storage condition. Just like NAMA, the Seaport Terminal Operators of Nigeria (STOAN) has commended President Muhammadu Buhari for banning the importation of vehicles into the country through the land borders. STOAN Chairman, Vicky Haastrup, while reacting to the ban announced by the federal government penultimate Monday said the move, if well implemented by the Nigeria Customs Service, will reduce the smuggling of vehicles into Nigeria and revive the operations of Roll-On-Roll-Off (RORO) terminals in the country. RORO terminals are specialised port terminals that handle all types of vehicles. Haastrup asked the government to take a step further by scrapping the high import duty regime imposed on vehicles by the administration of former President Goodluck Jonathan in 2013. “We are confident of the ability of President Muhammadu Buhari to turn the economy around. The earlier ban on importation of rice and now of vehicles, through the land borders is a welcome development. We are happy that the President has listened to our appeal to reverse incongruous policies inherited by his government from the former administration and which have deprived Nigerian ports of cargoes to the advantage of the ports of neighbouring countries. In addition to this ban through the land borders, we appeal to the President to return the import duties on vehicles to 20 per cent from the prohibitive 70 per cent tariff imposed by the former administration. “The reversal to the old tariff will serve as an incentive for Nigerians to import legitimately through the seaports and make appropriate payments to government. This will boost revenue collection by the Nigeria Customs Service. It will also lead to the return of lost jobs at the affected ports. We also appeal to Customs officers at the border posts to support the Federal Government and the NCS leadership by ensuring that no smuggled vehicle finds its way into the country through the land borders from 1st January 2017 when the new policy is expected to come into effect, ”Haastrup said. Haastrup said since 2014 when the 70 per cent hike in the tariff of imported vehicles came into effect, Nigeria had lost 80 per cent of its vehicle cargo traffic to the ports of neighbouring countries. “Since the high tariff was introduced, importers have resorted to landing their vehicles at the ports of neighbouring countries and smuggling them into Nigeria without paying appropriate duties to government. This amounted to huge revenue loss to Customs. The policy also led to loss of more 5,000 direct and indirect jobs at the affected port,” the STOAN Chairman said. Smuggling severely harms the economy of a country in multidimensional ways. It undermines the local industry, discourages legal imports and reduces the volume of revenues collected from duties and levies by the state. Unfortunately a parallel underground economy has taken roots in Nigeria. A major proportion of the revenue to be collected by the federal government is being lost, over and above the adverse impact that the smuggled items cause to local industry. Obviously this cannot be done without connivance of the corrupt officials including those in the law enforcement agencies and everyone is aware of it but no action is being taken. Markets and Shops across the country are flooded with smuggled goods of any and all descriptions. Smuggled items through the Seme, Idiroko, Katsina, and Yobe borders form a major part of the informal economy volume of which ranges between 50 to 60 per cent of the formal economy. Smuggling has assumed an alarming proportion and turned out to be a parallel economy, which is depriving the country of its rightful levies including excise and customs duty worth hundreds of billions of naira. As a result of the activities of smugglers, thousands of industrial units have been rendered sick, due to the availability of smuggled goods in open markets. Smuggling has now become a routine part of all economic activities in Nigeria which hardly raises any eye brows nor stirs the slightest fear of the law. Nigeria is facing the challenge of measuring and countering enormous revenue leakages and black money — its size estimated to be three time the regular economy. Meanwhile, a report by the World Bank on the level of illegal importation of goods into Nigeria from neighbouring Benin Republic and other West African countries showed the alarming rate of smuggling and the impact on the nation’s economy. Experts believe this should be a major concern to the federal government and the agencies responsible for management of the nation’s economy. According to the World Bank, an astonishing $5 billion (N1.45 trillion) worth of assorted goods are smuggled into Nigeria through Benin Republic alone every year. This amount represents about 15 per cent of total smuggled goods through that border. The World Bank report also claims it has enough evidence that over $400 million (N116 billion) representing about 25 per cent of the total current annual revenue collected by the Customs Service is lost through nefarious smuggling across the sub-regional borders. 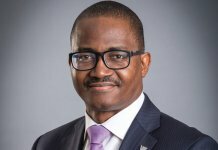 The report, which was prepared by two of the World Bank’s leading experts on the African Transport Unit also noted that smuggling into Nigeria will further hamper the operational efficiency of the Customs Service and cause more revenue losses if urgent steps are not taken by government to tackle it. It advised a liberalisation of trade policies which encourage smuggling across the borders. Experts told THISDAY that the report is troubling but not surprising, considering the increasing rate of smuggling across our borders, especially along the Benin republic axis. “A combination of factors accounts for this unhealthy trend. One of them is the high cost of clearing goods in our ports and the laxity of enforcement of anti-smuggling laws by those charged with responsibility in the country. It is not unkind to say that the integrity of some of the customs and immigration officials statutorily charged with policing our borders is suspect. Many compromise their positions. Bad eggs among them are more concerned with lining their own pockets than checking smuggling activities, thereby denying government much-needed revenue. “Therefore, the World Bank report should not be ignored. It should be treated as a wake-up call to address systemic difficulties in checking smuggling through the Benin Republic borders, and others in the region. In this regard, information exchange is vital. This has become crucial because available statistics reveal that 13 per cent of traffic of goods from the port in Cotonou, the capital of Benin Republic, is destined for Nigeria, while about 75 percent of the containers that land at the Cotonou Port are headed for our country. “We also believe that the current rate of smuggling through the West African sub-region is encouraged by tariff differentials. This has made it more economically viable for importers to patronise other ports in the sub-region rather than Nigerian ports. Government should seriously look into the problem with a view to formulating better policies to redress the situation, “said a top player in the maritime sector who do not want his name in print. He added: “Also, government should take a hard look at some of the treaties of the Economic Community of West African States (ECOWAS). Some of these treaties encourage free movement of people without addressing its harmful effects. Often, this freedom of movement undermines the economy of other countries through unbridled smuggling of goods. It is not just smuggling that is destroying developing economies. Terrorism, human trafficking, and drug smuggling have long painted a gritty picture of crime in the developing world. However, new details are coming to light about another much less visible form of crime and its adverse effects on developing countries. Fraudulent financial transactions, in particular the misinvoicing of international trade transactions, are having a significant impact on most African economies. According to a report published by Global Financial Integrity (GFI) on misinvoicing and the Impact of Revenue Loss, the misinvoicing of international trade transactions has allowed for the fraudulent movement of at least $60.8 billion in and out of the five African countries alone between 2002 and 2011. Misinvoicing is a form of trade-based money laundering that includes the over and understatement of import and export values on official forms and records. Firms engaging in international trade in developing countries often conduct these fraudulent transactions in order to evade tariffs and taxes, collect additional export-related tax credits and subsidies, or move large amounts of capital in and out of countries illegally. Misinvoicing can typically be as simple as altering the values on the books for a given transaction. For example, a firm may understate the value of an import shipment in invoices and records in order to pay lower tariffs or overstate the value of an export shipment in order to gain more export credits and subsidies than the shipment actually earned. Experts believe catching those that engage in misinvoicing is typically difficult for developing countries. “Often times misinvoicing can be performed effectively by making very small augmentations to the prices of common goods. If a firm augments the value of its goods by only one or two dollars per unit, even the best customs officers would be unlikely to notice it, and the benefits of such an augmentation could still add up significantly in large volumes. “However, this is only trade misinvoicing in its mildest form. In many cases, firms engaging in misinvoicing and other forms of money laundering send their transactions through anonymous shell companies in tax havens and developed countries in order to further disguise their activities, allowing them to augment values much more as the important details of the transactions disappear without a trace behind a shield of secrecy and anonymity, “said National President of the National Council of Managing Directors of Licensed Customs Agents (NCMDLCA), Lucky Amiwero. Previous articleSTACO Insurance Pays N1.445 Bn Claims in Q3rd,Increases Shareholders’ Funds.